Specially for images taken by digital cameras that store the date and time of the image internally. This application will extract the date and time of the image and put it on the image. Optionally allows you to insert copyright information, extra text, etc to the image. 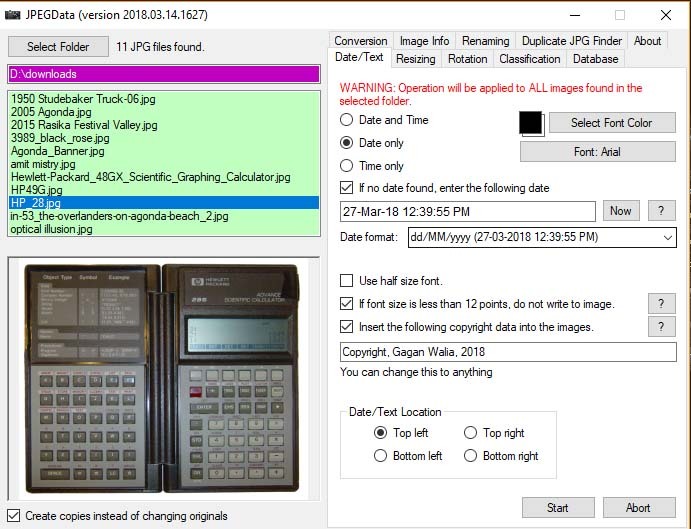 The application also allows you to resize images, convert gif and bmp files to jpg, classify images, and even create an MS Access database of images by storing the images as binary data in the database. Images can be extracted back to disk from the database. Also provides the ability to rename multiple files for libraries. 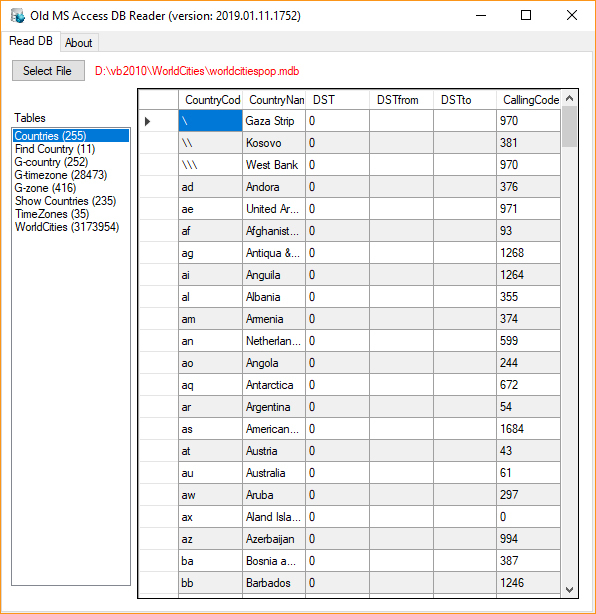 Allows you to read Old MS Access databases that cannot be opened in newer versions of MS Access. 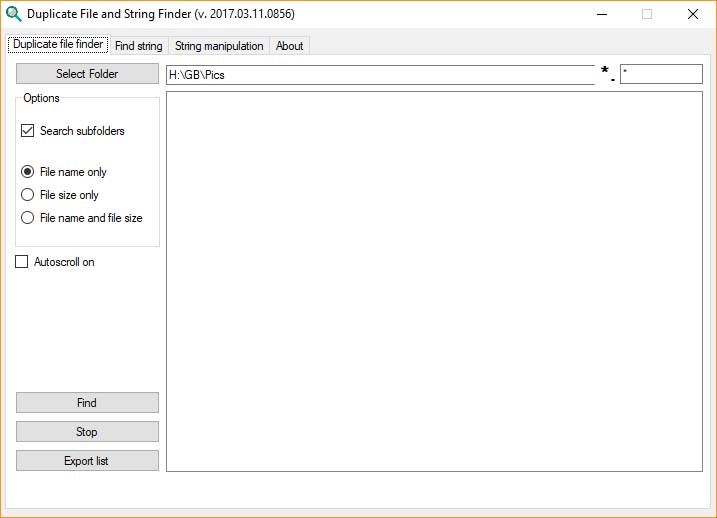 Allows you to find duplicate files and also allows you to find a string or peice of text in multiple files using wild cards or using filename extensions. Also allows you to do manupulations of files such as removing duplicate lines, appending lines, replacing lines or text, deleting lines etc. 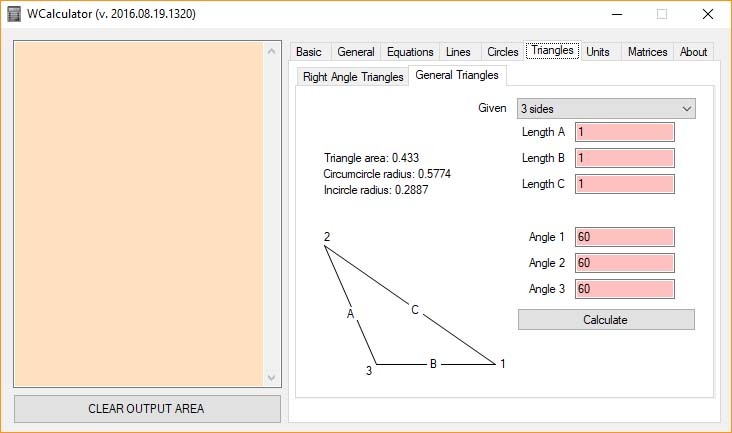 Add fraction, convert decimals to fractions, Solve simultaneous equations, Circles, Triangles, Unit conversions, GCF, LCM, Quadratic and Cubic Roots, Matrices and much more. 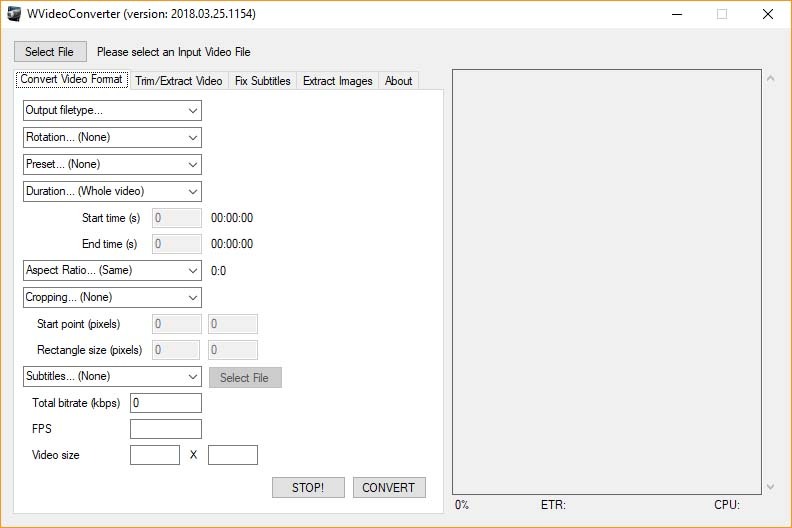 Convert videos from one format to another. Video rotation, changing of bitrate, fixing aspect ratio, cropping, adding subtitles, cutting and joining videos etc. View full headers in OutLook Express or MS Outlook. If you use a HOSTS file, and want to change the location of it from windows\system32\drivers\etc\ to some other location then change the following key to reflect the new path. When using the wireless network, some obsolete networks remain in your registry. They will not showup anywhere, so it gets hard to cleanup this mess. You can clean them manually if you wish, using the following method. STEP 3: using the command netsh wlan delete profile name="profilename-inquotes" where profilename-inqutes should be substituted by the actual profile name that you want to delete. STEP 5: Delete all the unwanted profiles under this key. STEP 9: Now you are done cleaning the network profiles that are not used. Reboot your computer for these effects to take place. Disclaimer: Use at your own risk. Although I have taken utmost care in developing these applications so that they do not do any harm to your files, bugs do exist in any kind of software. But rest assured, I have not made any mistakes on purpose. I have tried to make these applications as clean as possible.